Welcome! Are you curious about cloth diapers but not sure where to get started or if you have the, ah hem, stomach for it? Or maybe you're ready to start, but just looking for some ideas on diaper organization. This is just the place to start! Use the checklist below to see where you are in the cloth diapering process, or see a full list of posts on cloth diapering, pregnancy, birth, baby, and beyond >> here. Before we go on, let me say: Good job learning about cloth diapers. That's a big step. Go you! 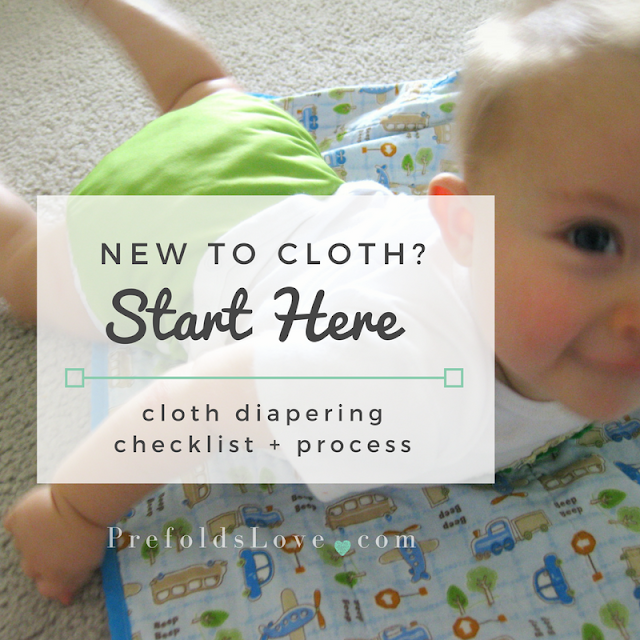 Here is a checklist of sorts on your way to cloth diapering. Where are you in the process? 1. Read up on cloth diapering. So, you've realized people actually choose to cloth diaper? And they've changed a bunch since the '70s! Start with a few good beginner guides to cloth diapering, and familiarize yourself with cloth diaper terms, why people choose to cloth diaper, other's cloth diaper experiences, and even how to wash away the poop. 2. Join a cloth diapering community. It could be a cloth diaper forum, a group through your local cloth diaper store, your favorite blogger (me? ;) or a friend or two. Have someone(s) you can talk to about the experience and get suggestions for the challenges. It's nice to have at least one person in this world that doesn't raise an eyebrow when you talk cloth diapers. If you need some cloth diaper friends, be sure and check out the Diaper Love Profiles to meet other cloth users! 3. Convince husband/support (and self) to cloth diaper. Whatever process you go through to convince yourself (Yuck! Wait, what? Oh, I could do that.) -- that's likely the same process you'll need to help your husband, or other baby support, through. Let them be grossed out, tell them the reasons it's great and especially the reasons you're interested. Be real about the challenges and especially what concerns you, then share solutions for those challenges. They might even be interested in reading a dad's perspective. Include them in the decision process. If they decide they're not in, respect that decision and consider using cloth part-time if you're still interested. 4. Choose your cloth diapering system. Once you learn the terms, and familiarize yourself with the basics of each system (pros and cons), which appeals to you more? Which fits in with your preferences? Choose a cloth diaper system based on your family's needs and preferences. 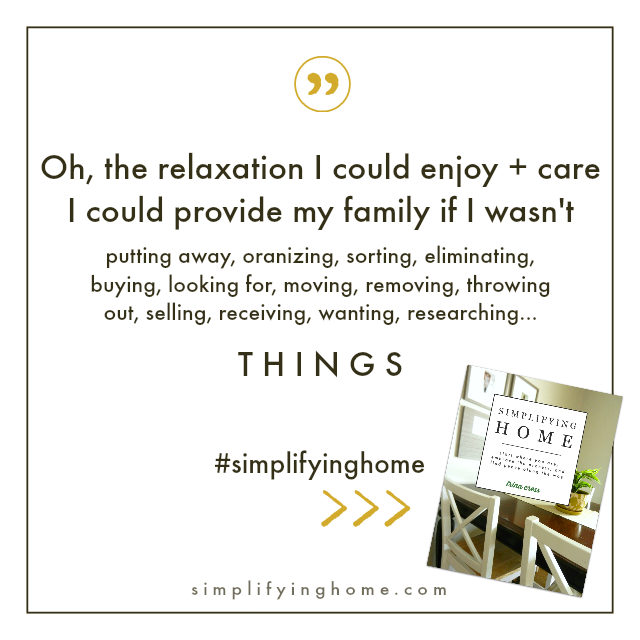 See other people's stashes and hear their reasons for choosing them--what resonates with you? 5. Make your cloth diaper purchases, or register to receive them as gifts. After you've chosen your preferred system, start diving into specific brands and product reviews. If you're thinking of covers and prefolds, checkout pul diaper cover reviews and why prefolds are the bomb. Choose your specific products, then start purchasing. (If baby isn't born yet, try browsing second hand, sign up for giveaways, or wait for sales.) If you're creating a baby registry, then be sure and add your diaper preferences. If this isn't your first child, or you already have many of the baby items you'll need, consider asking for a cloth-diapers-preferred shower. 6. Stock up on other diapering supplies. Depending on what system you choose and what routine works for you, you'll need more than just diapers. Prefolds and covers also need diaper pins or Snappis. Cloth wipes (or simple baby wash cloths) are easy to throw in with diaper laundry. Free & Clear detergent (or cloth-specific detergent, if you have finicky fabrics like microfiber) and dryer balls help keep your diapers free of build up. A pail and a pail liner hold dirty diapers. And a diaper bag and small wet bag help take cloth on-the-go. 7. Prepare your cloth diapers before use. Diapers need to be washed (often multiple times) before use in order to build up absorbency. Read up on how to prep prefolds, if that's what you'll be using. Covers just need a quick wash and dry to be ready. 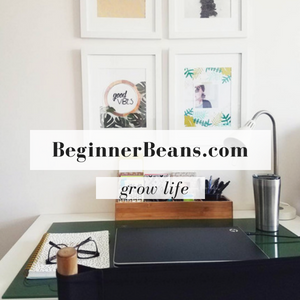 For any other products, follow tag instructions or refer to a beginner's guide for that product. 8. Use, swish, wash, repeat. Practice on a stuffed animal, or throw them on your baby. Look at photos and videos if you're unsure. Use the diapers, swish if baby takes in formula or solids (otherwise just toss in pail), wash and repeat. Get brave and use 'em out of the house too! 9. Overcome cloth diapering challenges. Cloth reality check--the challenges and their solutions. Time and a place for disposables. Cloth diaper rap from WeeHuggers. The Great Cloth Diaper Change event. Cloth diaper user interviews, reviews, guest posts.